Holiday Gift Guide: What Do You Buy The PC Gaming Enthusiast? Ah, the holidays. That time of year where your wallet is empty and your belly is full. It's a trade-off I'm willing to make. Especially if it means we get our hands on some delightful goodies, some perhaps gaming related! But what do you get that special PC gaming enthusiast in your life? We here at Kotaku will be chiming in below in Kinja to let you know of our thoughts, but drop in your suggestions below, too! 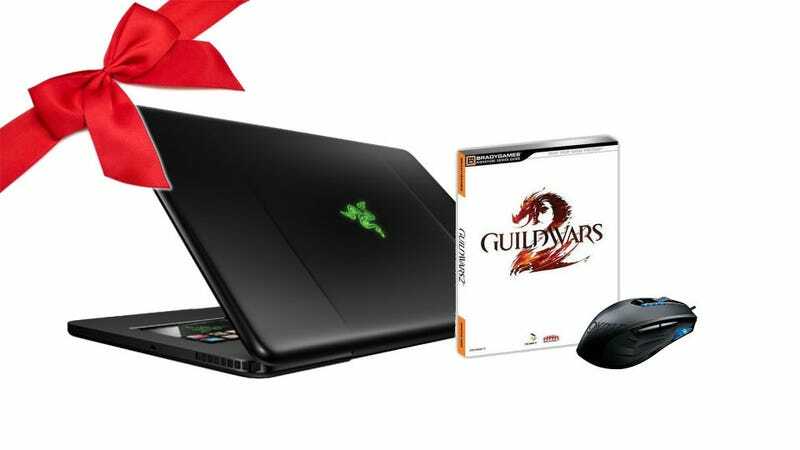 And let's amass the greatest gift suggestion for PC gamers in 2012 ever. Hardware, games, accessories are all welcome.